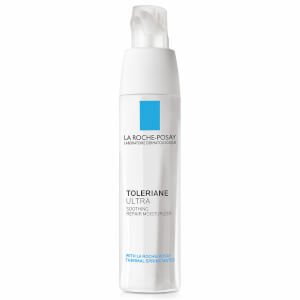 Promote a more calm and refreshed complexion with the La Roche-Posay Sensitive Skin Care Set. Specifically developed to cater for delicate and easily irritated skin, the set combines a cleanser and moisturiser that feature refined and simple formulations to ensure minimal reactivity. Skin is left feeling cleansed, supple and re-balanced. Free from oil, parabens, alcohol and fragrance. 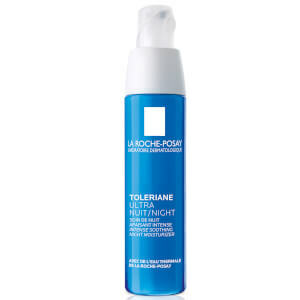 The Toleriane Purifying Foaming Cleanser is a refreshing, lightweight face wash ideal for oily skin types including sensitive, which works to leave you with a refreshed and balanced complexion free from any pore-clogging residue. Harnessing the detoxifying properties of exclusive Prebiotic Thermal Water as well as essential Ceramide-3, the gel-textured formula foams into a purifying lather when applied, working to gently remove makeup, oil and dirt while preserving the natural lipid barrier and pH levels. Free from soap and sulphates. 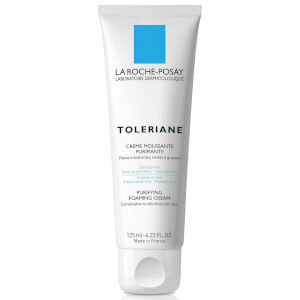 Alleviate dry, sensitive skin with the Toleriane Ultra Allergy; an expertly formulated daily face cream that provides instant and long-lasting relief from dryness and irritation. Clinically proven to make skin less sensitive with continued use, the ultra-mild, moisture-rich formula is free from unnecessary chemicals and additives that can cause inflammation. Skin feels calm and smooth with the look of redness and inflammation visibly reduced. Cleanser: Cleanse morning and/or evening. Wet skin with lukewarm water. Pump cleanser into hands and work into lather. Massage into skin in a gentle, circular motion. Rinse thoroughly and pat dry without rubbing. 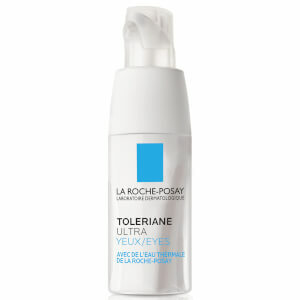 Ultra Allergy: Apply to the entire face and neck every morning after cleansing. 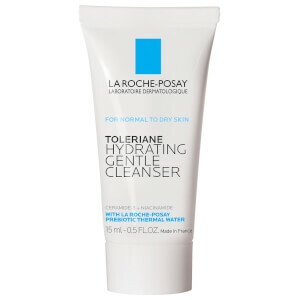 Cleanser: Aqua / Water / Eau (La Roche-Posay Prebiotic Thermal Water, Glycerin, Coco-Betaine, Propylene Glycol, Sodium Cocoyl Glycinate, Peg-120 Methyl Glucose Dioleate, Sodium Chloride, Ceramide Np, Niacinamide, Sodium Hydroxide, Disodium Edta, Capryloyl Glycine, Caprylyl Glycol, Citric Acid, Acrylates Copolymer. Ultra Allergy: Aqua / Water, Isocetyl Stearate, Squalane, Butyrospermum Parkii Butter / Shea Butter, Dimethicone, Glycerin, Aluminum Starch Octenylsuccinate, Pentylene Glycol, PEG-100 Stearate, Glyceryl Stearate, Cetyl Alcohol, Dimethiconol, Sodium Hydroxide, Acetyl Dipepyide-1 Cetyl Ester, Acrylates/C10-3- Alkyl Acrylate Crosspolymer, Formula No. : 609632 05, (Code F.I.L. : B39763/1).